FDA approved Abbott's FlexAbility sensor-enabled ablation catheter for atrial flutter. The device is among the many gems the company picked up in its $25 billion acquisition of St. Jude Medical. 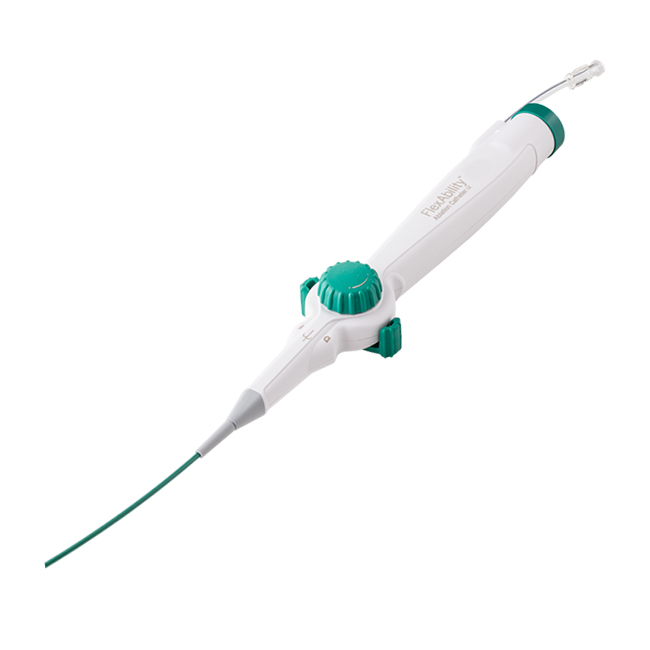 Abbott's FlexAbility ablation catheter is the second Sensor Enabled tool developed for the EnSite Precision cardiac mapping system. Abbott's $25 billion acquisition of St. Jude Medical boosted the company's status in the electrophysiology market. Among the many technology gems Abbott inherited from St. Jude is a sensor-enabled ablation catheter, which just scored FDA approval. Discover the latest in product development at BIOMEDevice Boston, May 3-4, 2017. Designed to collect both electrical current resistance and magnetic data, the FlexAbility catheter is the second Sensor Enabled tool developed for Abbott's EnSite Precision cardiac mapping system. FDA cleared the EnSite system in December, just a couple weeks before Abbott closed on the St. Jude deal. During Abbott's fourth quarter earnings call, both Miles White, Abbott's CEO and chairman, and Brian Yoor, the company's CFO and senior vice president of finance, touted EnSite as a key growth driver for the company's electrophysiology business. "We are continuing to innovate around the EnSite Precision cardiac mapping system to create an ablation portfolio that best supports physicians looking to tackle even the toughest cases," said Srijoy Mahapatra, medical director of Abbott's electrophysiology business. Mahapatra said the sensor-enabled ablation catheter offers enhanced precision, especially during complex cases. The FlexAbility catheter, Sensor Enabled, is based on the original FlexAbility platform, which featured the first irrigated flexible tip providing directed flow and tip temperature monitoring aimed at reducing procedural risk, Abbott said. The new catheter adds the ability to collect magnetic data. The catheter is also compatible with the company's MediGuide technology, which allows the physician to reduce the duration of live x-ray during a procedure. "We expect a lot of continued strong growth here," Yoor said during the earnings call of the company's newly acquired technology. "And there's alos a couple key catalysts here that we're expecting as we move through the year, one being Confirm, which is in the heart failure space with atrial fibrillation." Yoor said Confirm, an implantable cardiac monitoring device, is expected to be a unique contributor for atrial fibrillation patients. He also noted St. Jude's contribution of neuromodulation products.